New, original watercolor on 300 # paper. 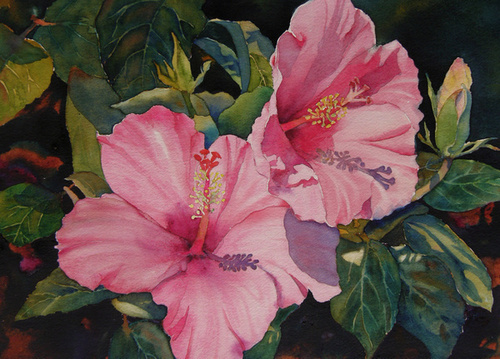 Two pink hibiscus flowers in full bloom, with a bud about to open. The painting is about 11 x 15, matted to 16 x 20, ready to frame. The painting will be shipped flat.